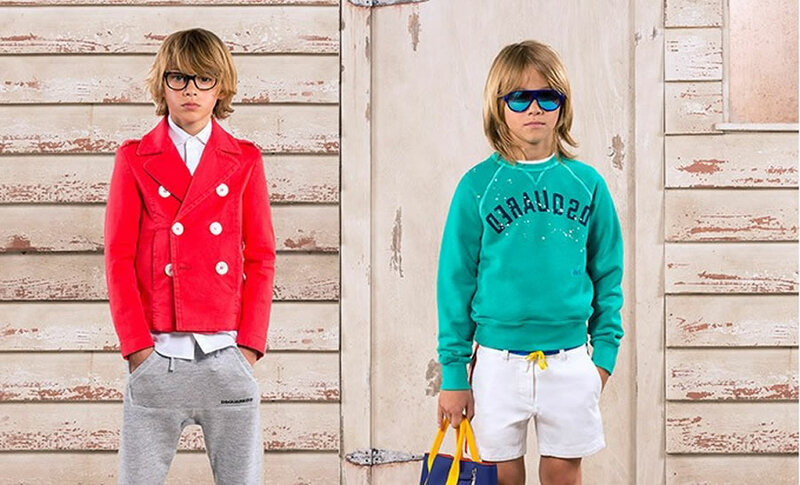 DSQUARED2 is a world famous Italian brand of clothing and accessories for the whole family that was founded in 1994 by two Canadian brothers – Dean and Dan Caten. In the begging of existing of DSUARED2 the designers were making formal suits for men and luxurious dresses for women. The products gained success among the most popular personalities on TV, such as Justin Timberlake, Ricky Martin, Simon Webbe, Madonna and others. But after creating a special line for kids, the brand has become even more demanded. The creative manufacturers emphasize on mixing both high quality fabrics and stylish look. Spotted shirts, tuxedo jackets, hooded sweaters, tartan and check blazers are produced of the best Italian materials, such as 100% cotton, denim, wool, velvet, leather, silk etc. To make the look of a child trendier, the line represents also collection of stylish accessories for boys and girls of all ages. Colorful jeweled brooches, bracelets with diamonds, silver jeweled necklaces will make a feminine silhouette of young lady. Manly appearance can be provided by combining black suit with a silk tie and leather belt. Cotton animal bib sets will be a perfect gift for toddlers. 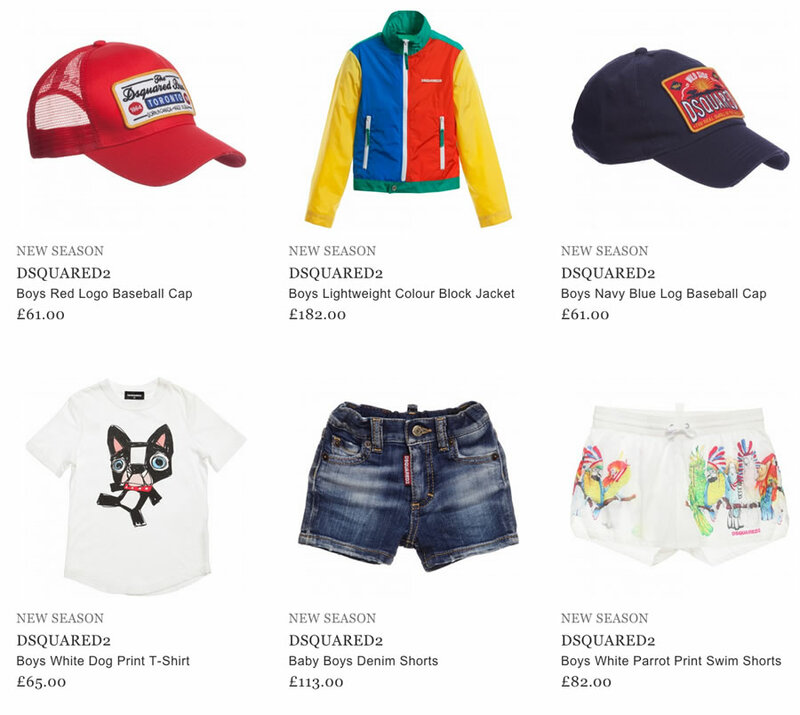 You can buy DSQUARED2 children clothes online.